China says India's troops have entered its territory to stop its army from building a road. India and Bhutan say the road is being built on Bhutanese soil. Chinese media praised the GST tax reform pushed through by PM Narendra Modi. A Chinese state-run newspaper that typically trades in attacking Delhi today said that India is becoming more attractive to international investors and praised the landmark tax reform GST pushed through by Prime Minister Narendra Modi. "As low-cost manufacturing is gradually moving away from China, it is now critical for India and even the world whether it can replace China as the next 'world's factory'," said the Global Times today. In recent weeks, it has, virtually every day, attacked India over the standoff at the Sikkim border between the Indian and Chinese armies that began early last month. A nationalist tabloid, it said India "should be taught a bitter lesson" and warned that if the confrontation escalates, India will suffer "greater losses" than those of the 1962 war. Defence Minister Arun Jaitley retorted that the India of today "is different from that of 1962." But on the new national services tax or GST, it wrote, "The new tax regime is expected to give a boost to the 'Make in India' initiative because it is aimed at unifying various state and central taxes into a single tax system, thus laying the foundation for a common national market and improving India's manufacturing competitiveness." 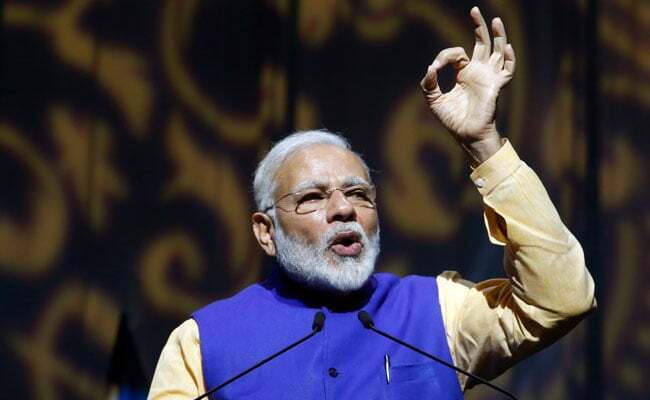 It also singled out PM Modi, stating, "Since Prime Minister Narendra Modi launched the 'Make in India' initiative in September, 2014, the Indian government has been making aggressive efforts in unifying the country as a whole, with the aim of building it into an attractive manufacturing destination for global businesses." The PM talked informally with Chinese President Xi Jinping last week in Germany at the G20 summit amid the heaving tension at the Sikkim border. China says India's troops have entered its territory to stop its army from building a road. India and Bhutan say the road is being built on Bhutanese soil. China has said for any dialogue or attempt at resolution, India must pull back its soldiers. The road being built gives China access to the narrow strip or "Chicken's Neck" that links India to its seven northeastern states.